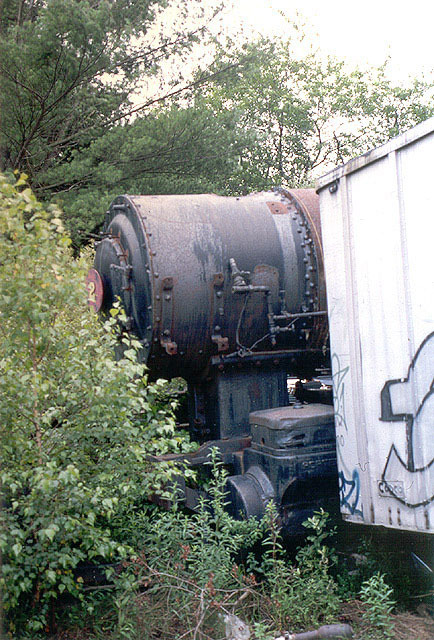 UPDATE July 2009: Simons Wrecking Co. no. 2 has been sold to the Friends of the Valley Railroad, and moved to Essex, Connecticut. 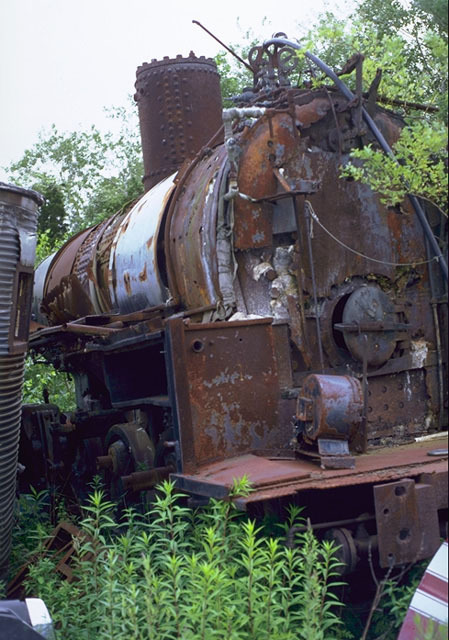 Plans include cosmetic restoration and display, and possibly a future restoration to steam. More information and photos on the Friends of the Valley Railroad website. Simons Wrecking Co. no. 2 is a Porter 0-6-0T. 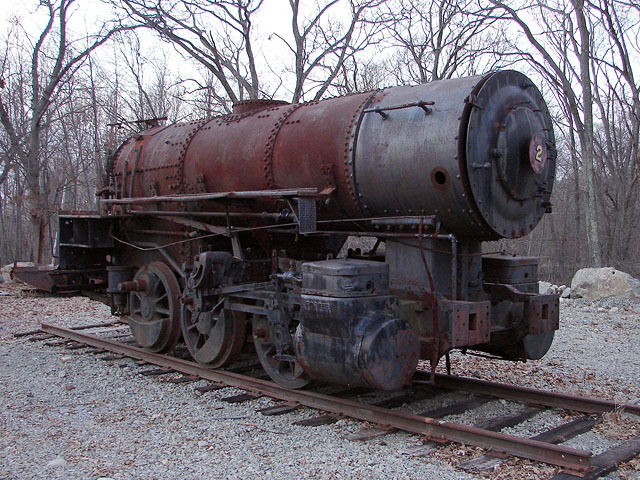 She was once part of F. Nelson Blount's Steamtown collection, but was sold at some point before Steamtown moved to Scranton, PA. 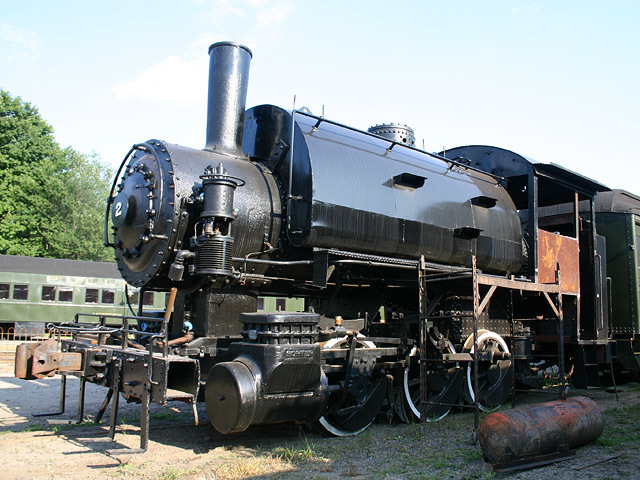 Stripped down for a restoration to steam that never came, she languished for many years in an auto salvage yard in Newbury, MA. 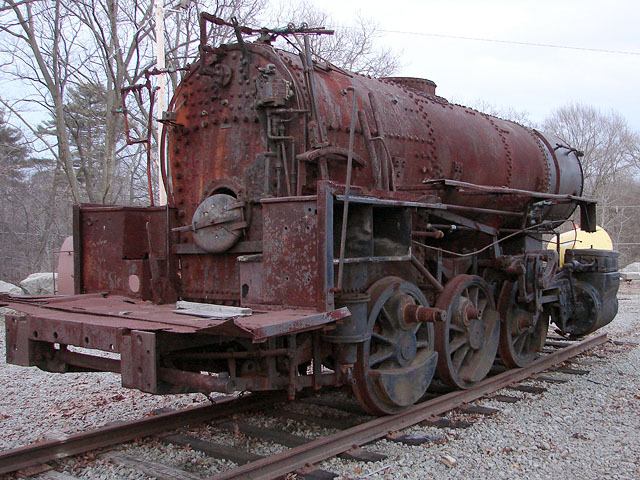 She was rescued from the junkyard in 2006, and taken to Peabody, Massachusetts, where a cosmetic restoration was started in preparation for display in a city park. 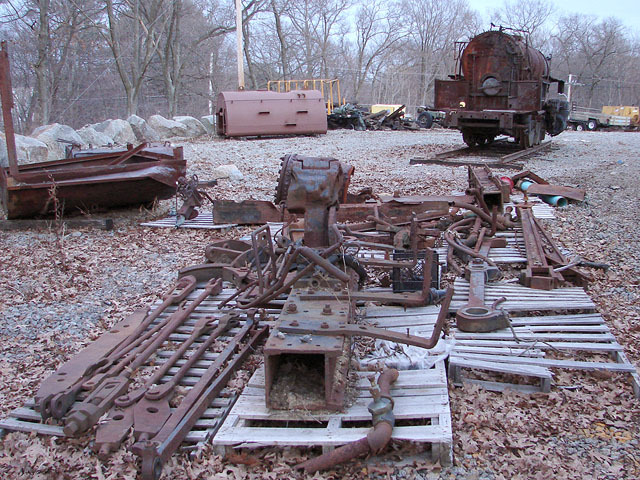 Starting to look like an engine again in her new home at the Valley Railroad in Essex, Connecticut. A much clearer view of Simons Wrecking Co. no. 2 after the move to Peabody. 3/4 rear view. The dome was removed for bridge clearance when the engine was trucked down from Newbury. Locomotive kit in 12-inch-to-the-foot scale. Note the restored and primered saddle tank in the background. 3/4 rear view of Simons Wrecking no. 2. Note the headlight resting next to the firebox door. It's difficult to get a decent front or broadside shot of the engine because of the vegetation and some derelict truck trailers. Here's a view of her smokebox and cylinders. 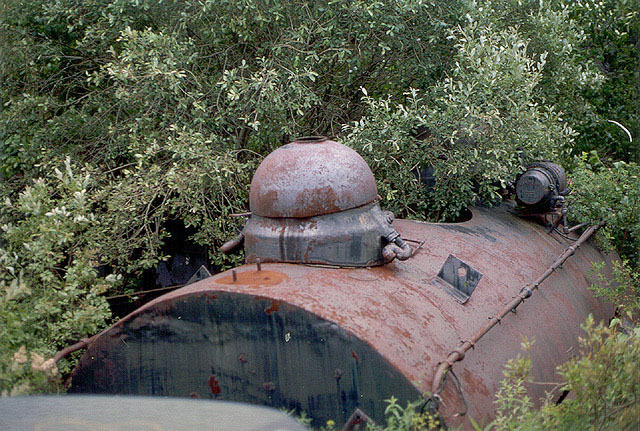 The saddle tank and cab are lying on the ground next to the engine, surrounded by weeds.